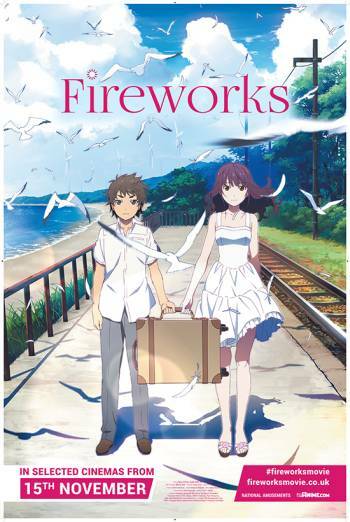 On the day when a fireworks display is planned, Norimichi, Yusuke, and their friends at school in a Japanese seaside town cannot agree whether or not fireworks are 'flat' or 'round' when they explode in the sky. 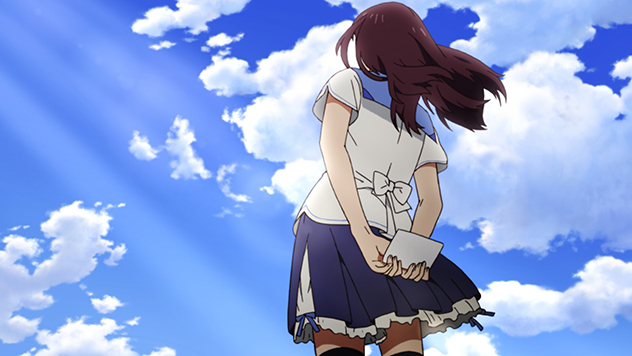 With her parents divorcing, the young teenager Nazuna has more serious matters on her mind. Although unknown to the others, Nazuna's mother intends to take her away after the summer break. When Norimichi and Yusuke race 50 meters in the swimming pool, Nazuna secretly decides that the winner will accompany her when she runs away from home. Meanwhile the gang from school decides that the best way to figure out the shape of fireworks is to view them from the side, and they set out for a lighthouse above the beach from which the fireworks display will be fired.